There is a huge amount of confusion about recommended alcohol limits. Many people are concerned that they are drinking too much – while others are unaware that they are regularly exceeding the limits. Although the NHS’s alcohol limits have come in for criticism, they are the closest thing that we have to an agreed-upon set of guidelines. It is important that you understand them, and that you are aware of the risks to your health posed by excessive drinking. What Are the Alcohol Limits? The NHS has set out what it considers to be ‘sensible’ daily drinking limits. These vary by gender. The NHS recommends that men should not regularly drink more than between 3 and 4 units of alcohol a day. Women, meanwhile, should not regularly exceed 2 to 3 units. A unit of alcohol is roughly equivalent to a third of a pint of beer, a single whisky, or half a glass of red wine. According to the NHS’s definition, ‘regularly’ is considered to mean most days of the week. So if you drink more than the recommended limit on a Friday night but don’t drink much (or at all) for the rest of the week, the NHS says you are alright. In fact, this is one of the major criticisms of the NHS’s daily limit recommendations. Many healthcare professionals suggest that a daily measurement is not the most sensible way of limiting alcohol intake, as it fails to take into account the cumulative effects. You should note, however, that the NHS does also suggest that you take a 48-hour break after a particularly heavy drinking session. This will help to give your body time to recover as best it can. Of course, many people wish to set their own alcohol limits. Your own personal circumstances may dictate different limits. Clearly, for example, if you are pregnant then it is highly recommended that you do not drink at all. Equally, if you are trying to cut back you may find it easier to simply stop drinking altogether for a period. You should remember, though, that the NHS limits are there for a reason. As such, your personal limits should not be any higher than these. There are many potential risks associated with excessive drinking. The NHS splits drinkers into three categories: lower risk, increasing-risk, and higher-risk. Lower risk drinkers are those who remain consistently within the limits set by the NHS. They are referred to as lower-risk in recognition of the fact that there are some health risks associated with any kind of drinking. But the NHS recommends that, if you are going to drink, you stay within the limits. Increasing-risk drinkers are those who regularly exceed 3 to 4 units a day for men, or 2 to 3 units a day for women. People who drink around this level run a higher risk of suffering damage or harm to their health. Indeed, according to the NHS men who they class as increasing-risk drinkers are up to 2.5 times more likely to suffer from cancers including cancer of the throat. Women drinking around this level are 1.2 times more likely to develop breast cancer. Finally, higher-risk drinkers are those who regularly exceed 8 units a day or 50 units a week in the case of men, and 6 units a day or 35 units a week for women. These individuals run a higher risk of harming their health as a result of drinking – and again, they are more likely to fall victim to certain diseases. Higher-risk drinkers are, for example, up to 10 times more likely than higher-risk drinkers to develop cirrhosis of the liver. They are also up to 5 times more likely to develop mouth, throat, or neck cancer. How Can I Cut Back? 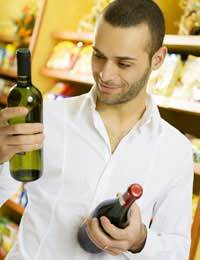 Many people are concerned about the amount they drink, and would like to cut back. The good news is that there is a huge variety of assistance available to help you do this. A good first step would be to investigate the online tools available on the NHS website. These include a drinks tracker, that will help you to understand how much you drink in relation to the recommended limits. This can often be the push you need to reduce your drinking. But if you need extra help, this is also available. Again, there are links on the NHS website that will help you find help, either from your GP or from a dedicated alcohol counsellor.